I will worship toward thy holy temple, and praise thy name for thy loving kindness and for thy truth: for thou hast magnified thy word above all thy name. 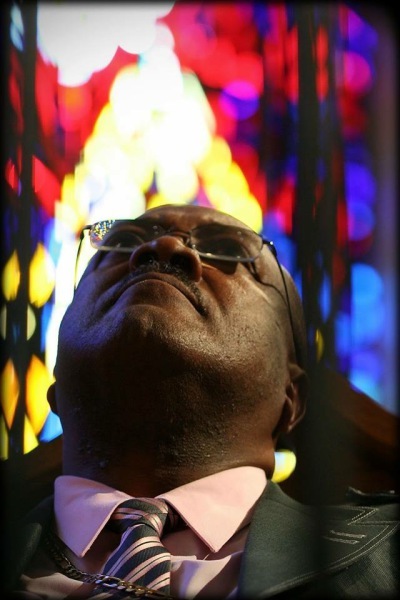 In 1982, God gave Bishop Wren a mandate to resign from his job as an educator at George Washington Carver High School to Pastor full time, which he accepted. This was a significant time in the church’s history, as it allowed him to be more accessible to the congregation, and it sparked the first major growth in the church. As the year came to a close, membership had grown to 150 faithful members, and developed a ministerial staff of seven male and female associates. At the time, the vision of the former Pastor, the late Elder John Key would begin to unfold. The building was filled to capacity and the facilities would have to be expanded. Under the leadership of Bishop Wren, the first prominent move came about, and in July 1984, the East Birmingham Church of God in Christ Daycare was licensed, and Elder Peter Wren, Sr. was named its director, providing service to 40 children. In January 1985, due to growth from 150 to 450 members, there was a desperate need for a larger facility. The vision of Bishop Wren was to enlarge and expand the facilities, and to do so debt-free. Pledges were made, and a “Groundbreaking Ceremony” was held with the initial Building Fund total of $15,451.00. 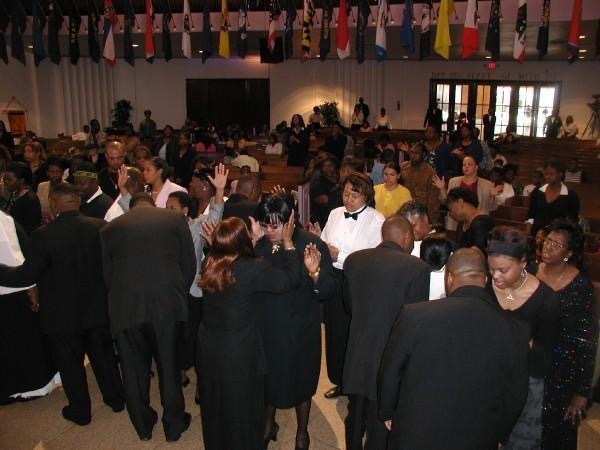 As the expansion got underway, the realization that additional facilities would be needed in order to accommodate the ever growing congregation, and the city at large. Immediately, properties adjacent to the church were purchased as well. In 1993, due to ever increasing growth, Bishop Wren entertained the idea of a new facility located in the Woodlawn area. After many nights of prayer and consecration, armed with the vision that was given to him by God, he decided to move the congregation to a higher level of faith in the Almighty God. With the Grace of God, a new facility was purchased. The new facility would seat approximately 2,500 people in the sanctuary; approximately 300 people in the chapel; a Fellowship Hall seating over 300 people that includes full service kitchen facilities; a fully equipped daycare center, which includes a nursery; a three story education building, a baptistery, state of the art sound room with the capacity to accommodate a television ministry; and adjacent to this facility, a Christian Life center equipped with a full-sized gymnasium, racquetball court, game room, weight training room, skating area, fully equipped kitchen, and a large family room. In September 1997. Wren Funeral Home was opened where Bishop Wren serves as a National Director and Embalmer, and continues to serve the citizens of the Birmingham Metropolitan Area. Bishop Peter Wren, Sr., D.D. was born in Mulga, Alabama on June 3, 1949, the twelfth of fifteen children; he’s the son of the late Elder David Wren, and the late District Supervisor of the Bessemer District, Mother Gertrude (Densmore) Wren; Bishop Wren has seven children ; Kathy, Lenora, Peter Jr., Christopher, Sharon, Paris and Nehemiah. He is presently married to November Wren. From 1968-1972 he was Youth Motivator at Freewill Church of God in Christ in Hueytown, Alabama. 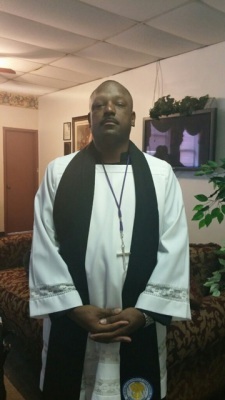 In 1972, He was ordained as an Elder in the Church of God in Christ, State of Alabama. He served four years in the United States Air Force; in 1974 he received his Bachelor’s Degree in Social Science, and 1981 received his Master’s Degree in Education both from the University of Alabama at Birmingham. 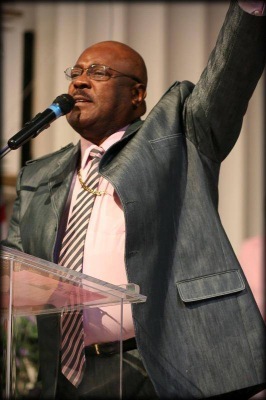 In 1978, he was appointed to Pastor of the East Birmingham Church of God in Christ. Because of his age, it was difficult for the congregation composed of twelve adults and eight children to accept him; nevertheless, he remained, and realizing the charge from God was greater than the task before him. The charge required a life of dedicated prayer and continuous guidance from God. Along with the late Assistant Pastor Rudolph Bates, who was failing in health, he began to win the hearts of his new flock. He organized activities in the church centered around soul winning, and armed with the Word of God, he went out into the community knocking on doors, and inviting souls to church. Undaunted by criticism, Elder Wren stood on God’s Word, and gained the favor of the people. Bishop Wren served the second Jurisdiction of Alabama in many capacities. 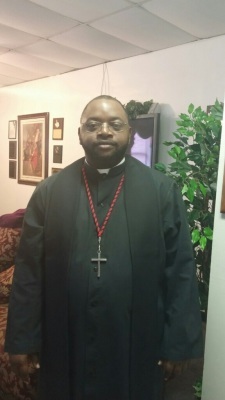 He was appointed State Chairman of Finance, State Secretary, and Third Administrative to Bishop W.S. Harris. In 1985, he authored the book entitled “Things Believers Must Know”; he was the recipient of the Certificate of Recognition from the Alabama Channel News (1987); East Birmingham Church of God in Christ’s “Outstanding Leadership Award” (1990), and is a member of the National Elder’s Council. In 1994, Bishop Wren, was consecrated as Bishop of the Alabama Third Ecclesiastical Jurisdiction of the Churches of God in Christ.